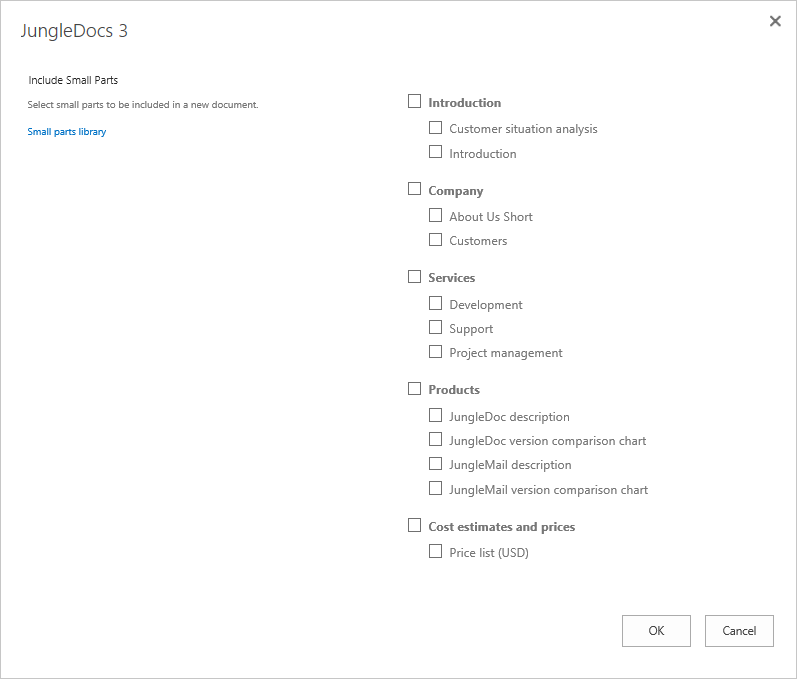 After you configure a JungleDocs rule, you can start creating documents with it. In this walkthrough, you will learn to do this. 1. 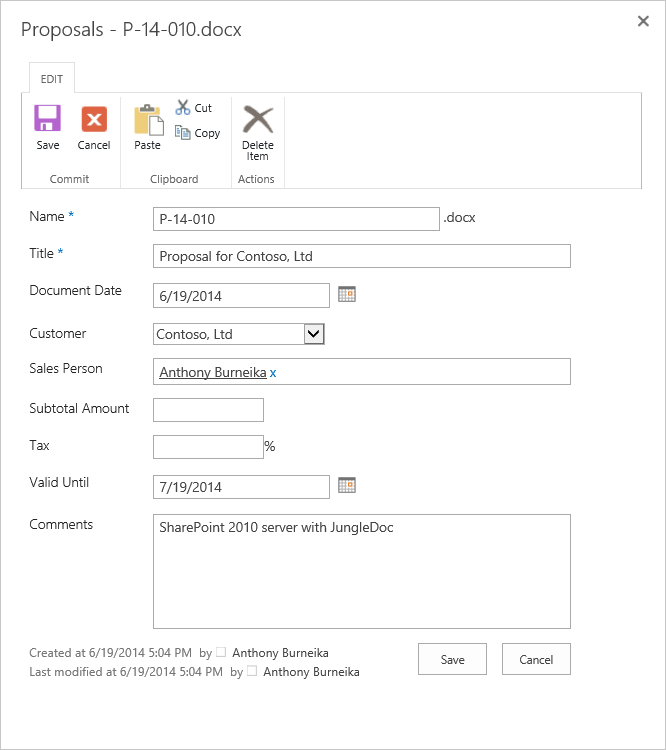 Navigate to the document library where the source document or item is located. The source document is a document from which you are going to create a new document. 2. Select the source document/item. 3. Click the JungleDocs ribbon button. Copy source to copy document contents from the source document. This option is only available when running JungleDocs from a document library with a document already selected. 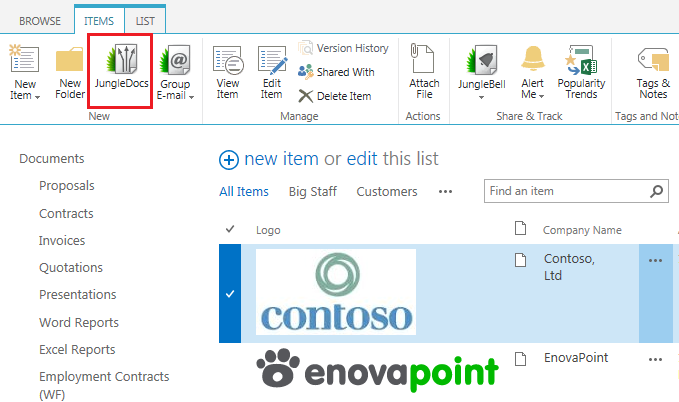 Note: check the Navigate to target list after creation box and you will be redirected to the document library where the new document is located. 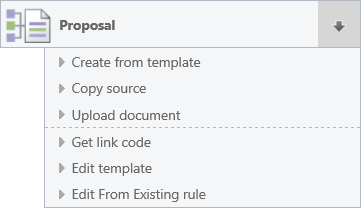 Check the Open after creation box and the new document will be opened in an editing program. If the document has Small Parts configured for it, Small Part selection dialog will appear in a new window. Select the required Small Parts by clicking their checkboxes and click OK.
6. The document properties editing dialog window for the newly created document will appear. Note that a new filename has been generated and date columns have been calculated according to the JungleDocs rule. Most column values have been copied so that there is no need to copy-paste this information. Only the data specific to this particular document has to be entered. Once you have reviewed the information, click Save. 7. The new document has been created.